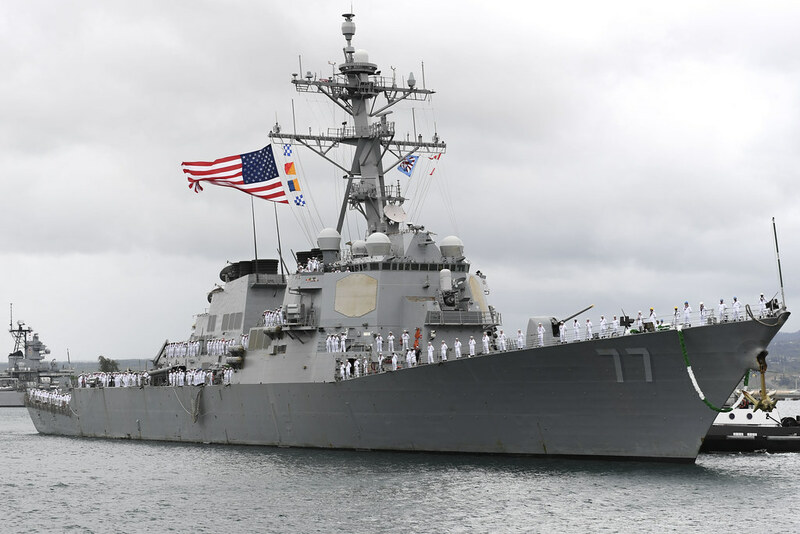 PEARL HARBOR - The guided-missile destroyer USS O’Kane (DDG 77) returned to its homeport, Joint Base Pearl Harbor-Hickam, June 4, after a seven-month Western Pacific deployment. 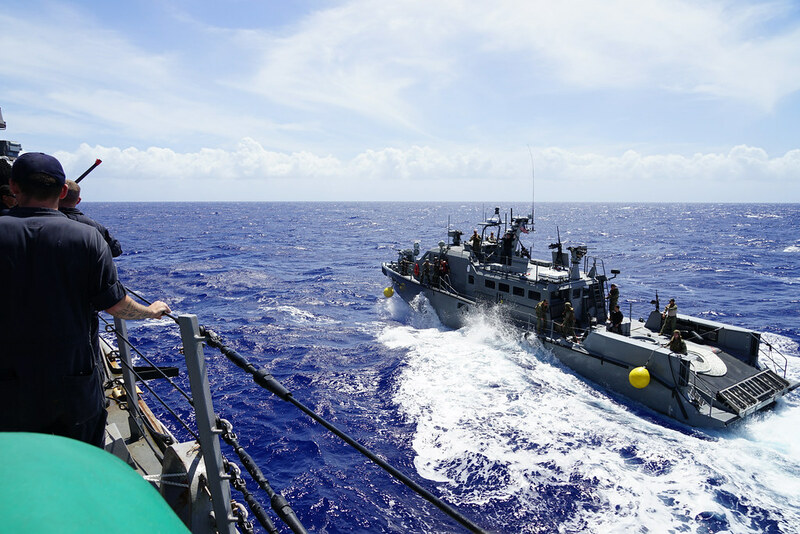 GUAM -- Deployed Guided Missile Destroyer USS O’Kane (DDG 77) joined with Mark VI Patrol Boats of Coastal Riverine Group-1 Detachment Guam (CRG-1 DET Guam) Feb. 21 to perform integrated exercises off the coast of Guam. 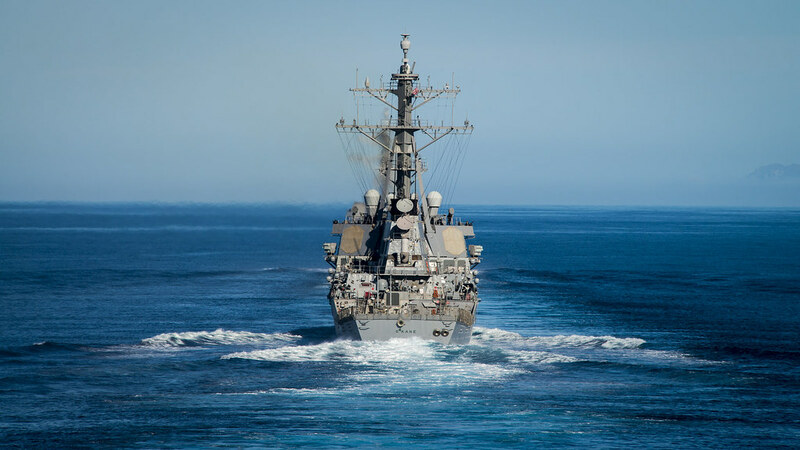 PEARL HARBOR, Hawaii - The guided-missile destroyer USS O'Kane (DDG 77) departed Joint Base Pearl Harbor-Hickam for an independent deployment to the Western Pacific, Nov. 3.